As an organisation focusing on international relations with a special emphasis on culture, the Institute for Cultural Relations Policy initiated a series of interviews with top people of leading cultural institutions. Such organisations not only aim to promote a country’s image but, beyond that, also to contribute to support peaceful patterns of international relations through cultural diplomacy. These interviews’ aim is to virtually open up the doors of cultural missions and to let us understand how cultural diplomacy works as an instrument of soft power in the 21st century. In your email you mentioned that your first foreign language is Estonian, which I had never heard of a non-Estonian person before. How did you get in connection with the language? I studied Finnish at Eötvös Loránd University, where it was compulsory to study a bit of Estonian for a semester as well, which was rather like an overview of the grammatical system, but it was perfectly enough for me to fall in love with the language. After this semester with some of my groupmates we could continue having Estonian lessons and then two years later the independent Estonian course was established at the same university, which I also completed. As I assume, you became affiliated with the Estonian Institute during your studies, but how did you become the director of the organisation? I was still a student when the Institute was established, in February 1998. Having been a student of the Estonian course at university that time, obviously I was following the activities of the organisation, participated in their events and attended different lectures organised by them. I started working at the Institute in 2010, first as a Project Manager, then from 2013 as the director. It has been exactly 20 years since the Estonian Institute opened its doors – what led to the establishment of the institute, what were the motivations? The formation started by honorary consul András Bereczki, who made the first steps towards the establishment of the institution due to several reasons: the very active Estonian Society in Hungary (Magyar Észt Társaság), the high quantity and quality of Estonian literature translated to Hungarian and the growing demand by the people as well. And so because of the strong linguistic connection between the two nations, Budapest was appointed to be the second in the branch of Estonian Cultural Institutes, after the one in Helsinki, Finland. It is also important to mention that the relationship between Hungarians and Estonians has a relatively long history, which got a boost during both between the two world wars and the Soviet era, when, as mentioned before, Estonian literature became more accessible by having had several books translated to Hungarian. How could you describe the Hungarian-Estonian relationship from cultural, diplomatic aspects? Before the establishment of the Estonian Institute, the Estonian Society in Hungary (Magyar Észt Társaság) had already started operating. Their activities were characterised by educational purposes, since at that time internet was not really available. Nowadays, they are still active and have gatherings, events every now and then. In terms of further cultural relations, the Hungarian Institute of Tallinn also has a great role in representing Hungary in Estonia besides the Embassy, which reopened in October 2018, together with the Estonian Embassy in Budapest. How would you describe the main aims of the institute? First of all, we would like to represent all the types of art parallel with maintaining a certain quality. There are several institutions, organisations in Budapest with which we have been cooperating, such as BMC’s Opus Jazz Club, where we organise Estonian concerts twice a year, or we’ve had several exhibitions in the recent years of not only architecture at the Fuga Budapest Centre of Architecture but also of the fine arts as well. We also find it really important to create a dialogue between the actors of the Hungarian and Estonian cultural life. A favourite project of ours was an exhibition of illustration to children’s stories called “Mese itt, mese ott” (Crisscross stories) participated by more than 40 Hungarian and Estonian artists altogether. What were and are your personal aims as the director of the Institute? In general we can say that a cultural institution is a little bit like its director – even though it’s not necessarily intentional. I think this is the case with the Estonian Institute as well: my personal taste is reflected in the organised events, programs. My favourite fields of art are music, literature and architecture. It is manifested in the publication of a series of short stories (Breviárium), with which we wanted to demonstrate how diverse the Estonian literature is. It is a really personal project, since I am a translator myself as well. There were two big events recently in connection with Estonian culture in Hungary. One of it was the Estonian-Hungarian Exhibition of Contemporary Art in Ludwig Museum and the Estonian Music Week, as the closure of the anniversary year of 2018. Both the exhibition and the Music Week were parts of the official program of the Estonia100 celebrations supported by the EV100 program office. In the exhibition at the Ludwig Museum we played a contributory role, while during the Music Week, we were the main organiser, where we managed to invite famous Estonian artists and groups, such as the Tallinn Chamber Orchestra or the Estonian Philharmonic Chamber Choir playing from the well-known composer, Arvo Pärt. Besides the previously mentioned formations, there were a folk and two more jazz concerts taking place as well. What are the future prospects of the institute? Are there any programs, projects that you already know about? We will certainly continue having the Estonian Week, for which preparations have already started. And as it has been like since the launch of this annual event, Estonian films are going be in the focus again, where we present those released in the previous year in almost all kinds of genres. This series of program is accessible for all who are interested in Estonian culture. In my next question, I would be interested in the connection between the two languages, since besides Finnish, we can say that Estonian is our only “relative” in the continent. Yes, you’re right however both languages went through serious changes not just in the vocabulary but in a grammatical way as well. The regular changes are those ones by which we can prove the linguistic affinity. The relatable words of the two languages are the most basic, ancient ones, such as words of nature that shows the “fishing-hunting” way of life conducted by the two nations thousands of years ago. I am also of the opinion, that no one will ever understand Estonian only by knowing Hungarian, but when the person starts studying the language or Finnish, by seeing the way sentences are constructed, how words are connected to each other or the logic and structure of the language, he will discover the similarities. And I am convinced, that it is easier for a Hungarian to learn either Estonian or Finnish, that it is for an English or a French person. As a summarising question, an ordinary person meets with Estonian culture, the country, its traditions etc. for the first time. How would you try to get his attention, to get to know these even more? Well, it’s a difficult question, but I would say one has to see it with their own eyes. It’s important, that they shouldn’t only visit the cities but the nature as well! 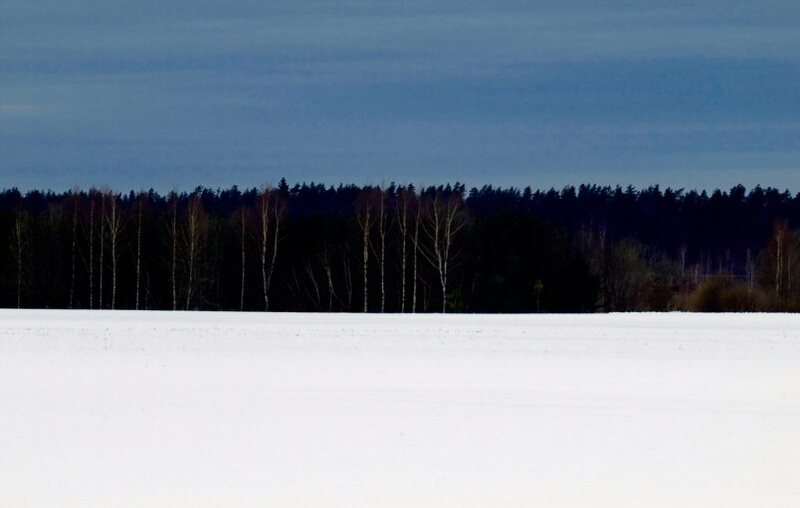 Estonia has its “reserves” in the countryside, besides the medieval centre of Tallinn, or the university town Tartu. Estonian cultural life is also worth exploring, there are a lot of happenings there. Just to mention the open theatres in summer, when basically there are performances in the most special places, from ruined courtyards to even marshlands. Talking about marshlands, for foreign visitors it’s a very unique experience, or the pine woods, that also have a particular atmosphere together with the seaside! One can really feel as if time has stopped. But until then read Estonian literature, keep an eye on our short story series (Breviárium), listen to Estonian folk music, especially the ancient one. And we have information brochures and of course our doors are always open to everyone!